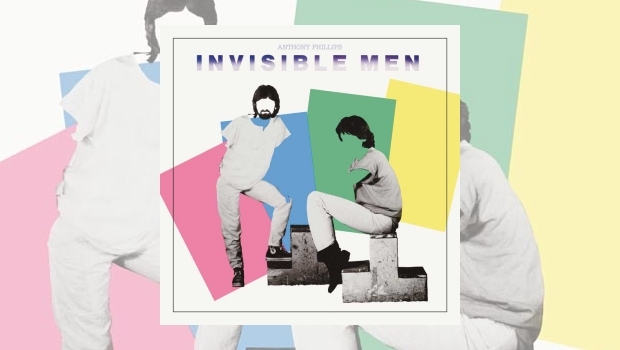 Esoteric’s deluxe treatment of Anthony Phillips’ back catalogue continues with the not-so-highly sought after 1983 pop album Invisible Men, a collaboration between himself and long-time musical partner Richard Scott. The notes of this 2CD edition explain that it was a time when Phillips had just got a house in London and had bought a mortgage: surely now anyone can understand why he needed a bit of dosh in his pocket. For a cash-grab however, this is a surprisingly infectious and fulfilling musical outing. Strangely, the first track on the album, Golden Bodies, was released earlier by the female group Little Foxes (listen above) who had a tenuous connection to Phillips himself. The track opens with a Roland 808 drumkit contrasted starkly by a soprano saxophone that sounds like it has come straight out of the 1920s. The humorous lyrics carry the listener to the beach, and one wonders if this is going to be a serious affair. The brief yet enjoyable instrumental makes one think of Camel circa The Single Factor, released the year this music was written. If Invisible Men is akin to that album, however, it has certainly learned from many of its mistakes. The Women Were Watching follows, carrying a somewhat Joy Division-like guitar motif, and a political message relating to the Falklands War. While poignant, this is surely one of the weaker tracks on the album, sounding a bit too Tangent-y for this reviewer’s liking. Fortunately, it’s back to the world of pop in the next track, Traces, one of several ‘straight’ love songs on the album. Camel comparisons once again run rife. Exocet is just weird; too weird for a pop album, not weird enough for a prog album. With a jarring 3/4 signature used amongst all sorts of sound effects, there isn’t enough melody to make this political statement truly memorable. 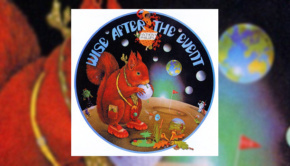 The political tracks, fortunately, end here, and although they were written with meaning, they feel out of place on a mostly light-hearted album. Stranger still, the most serious track is followed by the most whimsical. Love in a Hot Air Balloon might as well have come straight out of Roger Ruskin Spears’ catalogue due to its silliness, even crediting Henry and the Cakettes (a group of staff at Atmosphere Studios) for the ‘party’ sample. Going for Broke comes around, and now we’re in the golden zone; nearly everything from here on out is wonderful. This is where I tend to start the album. Going for Broke, in particular, has a truly pop-prog feel to it with a fast pace and multiple drum fills in the breaks. Once again, very difficult not to compare to Camel. A more melancholy pop track follows, Falling for Love. With excellent drums and singing, this is a highly catchy, singable pop song. As a prog fan, it’s a bit uncanny how much I crave this. Sally is remembered as one of Phillips’s best pop songs, receiving its own 12″ single. This is where comparisons to Genesis start and end. Chugging, powerful synthesised and acoustic music charges this exquisite pop song, with loud anthemic verses and a suggestive chorus. This is followed swiftly by the much lighter I Want Your Heart, part ’80s pop cheese, part Christmas song. 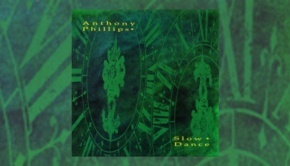 Amazingly, Phillips slips a cheeky 7/8 time signature into the chorus, giving the song a sense of urgency, and even confusion towards the end when the drum machine’s count seems to be slightly off. Sometimes you can’t help being a prog musician! Guru would have improved with the addition of real drums, as Phillips himself admits in the liner notes. Compared to the other excellent songs on show, this one is simply of much less quality. My main gripe is with the chorus lyrics: “I don’t want your guru/I don’t need your paradise/I love you for what you are/Perfection’s not mine”. It doesn’t rhyme! It feels like he ought to sing “Perfection’s not nice”. It’s Not Easy did not appear on the original U.S. edition of this album, just as Exocet did not appear on the U.K. LP. It’s difficult not to enjoy the grungy synthesiser riff in this track, but the song itself is not that strong. My Time Has Come makes a fitting finale instead, with powerful instrumentation in the chorus. Now that we’ve reached the end of the album proper, we have over an hour of bonus tracks to pour through. Amazingly, some of the best material is located here. The bonus tracks on the first CD were actually featured on the original Virgin CD, released in 1991. These three tracks have much more depth and melancholy than the rest of the album. Trail of Tears is a hypnotic six-minute instrumental, The Ballad of Penlee is indeed a sorrowful ballad relating to a lifeboat tragedy in Cornwall in the early ’80s. Alex, however, happens to be my favourite song on the entire reissue, a simple yet highly effective instrumental with stirring chords and wonderful instrumentation. You can hear the previously released demo version of this track below. However, for this edition, it seems Esoteric have done some digging and found a more complete version with real drums by Jeff Dunne (not to be confused with Geoff Dunn of Manfred Mann’s Earth Band and Procol Harum). The drums make a world of difference to this amazing track. The second disc contains a lot of contemporary material that didn’t make it on to Invisible Men or the following Private Parts and Pieces IV: A Catch at the Tables, mostly unfinished ideas, though a couple of songs do exist. More interesting to hear are the demos or alternate versions of songs on the album proper, for example, Golden Bodies with different lyrics. There’s an instrumental up-tempo version of Falling for Love recorded four years later; a version which baffles me as it sounds so much worse than the original. Why did Phillips think that putting the song in a ‘country’ setting would improve it? The only real gold to be found is at the end, the track fittingly titled Finale. Featuring bombastic drums played by Paul Robinson, this is an adequate symphonic guitar-led instrumental outro to the bonus disc. 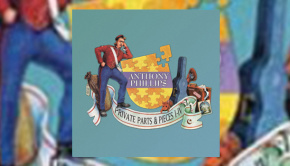 As with the other Anthony Phillips reissues, Jonathan Dann is at the helm, remixing the album as well as writing extensive sleeve notes which are extremely informative. Once again, a poster of the album is included and artwork fans will be pleased to know that both the U.K. and U.S. album art is featured in this reissue. Interestingly, Dann chooses to end his essay with a downcast remark from Phillips, feeling that Invisible Men wasn’t really his musical vision and that he should have pursued a route more along the lines of The Geese & the Ghost. It’s a shame he feels this way because all I can hear is a stunning pop album with the power to please over and over again. One should always try and follow their musical vision, but no one should regret making an album as excellent as this, even if it is a little rough around the edges.